This is my first attempt at cartridge pen. Although I am not a hunter I do like the look ofthe polished antler. PS: My good "Amature Bill" got me hooked on turning. Many doolars later and many more to spend I am begining to wonder if he really is a friend. Just kidding of course. Those are some nice looking pens! I like the look of antler too. So, you fell into his trap of turning hey? He keeps trying to get me into it too but, I know him too well. If you need more antler, I think Amature Bill can tell you where to get it cheap. Nicely done pens! 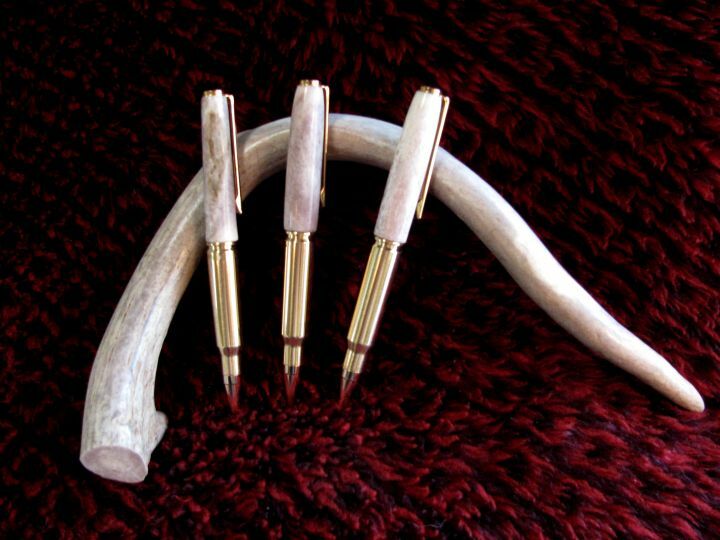 I have made some as well and really enjoy the way the various antler types turn. Yours look great. Now if I could only remember where I put the one I made for somebody??? They are beautiful looking. I been thinking of the bullet pens for a while now.